Mentor Resources – No. 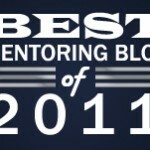 3 on The Best Mentoring Blog 2011 list. Over the past 10 years, Mentor Resources, a San Francisco-based executive and management leadership center, has created and managed partnerships, matching thousands of mentoring pairs to provide growth opportunities for the development of tomorrow’s corporate leaders. Mentoring Peers – No. 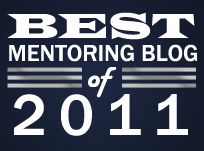 2 on The Best Mentoring Blog 2011 list. Mentoring Works – No. 1 on The Best Mentoring Blog 2011 list. Ann Rolfe is internationally recognised as Australia’s leading specialist in mentoring, and is available for speaking, training and consulting. At here blog Ann shares her knowledge and allows you to ask your most pressing questions about mentoring. With unemployment at current levels, why would any manager focus on mentoring? Why spend money on current employees when they should be happy to have their job? When I posted my list over the best mentoring blogs in 2011 just last week, I got a lot of attention and here is one of them. Click at the link, this is number three on the list. Here at Mentorguru.info we are looking for “The Best Mentoring Blog 2011″ and this is a good candidate. At http://mikethementor.co.uk/index.php you can see why. Mike is the Senior Partner with Jericho Partners and a recognised authority on leadership coaching.